The FBI’s Hawaii office is warning about a new scam targeting Hawaii residents, which offers them a work-from-home position, but the company they reportedly will work for, and the financial transactions they are asked to perform, are fakes. That’s what happened to a Kauai resident in January after she answered a work-from-home advertisement in Craigslist. The company she would have worked for, DSL Oil, does not exist, and the $3,958 Chevron check she was told to deposit the check into her personal bank account, and then transfer all but $200 to new employer, was counterfeit. Fortunately she didn’t fall for the scam and reported it to the FBI’s Honolulu office. 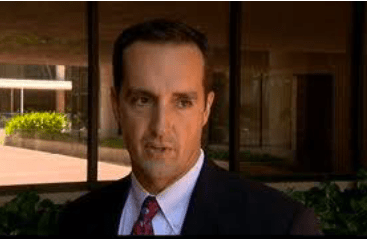 “Any so-called job that entails you to run money through your own bank account and wire it further along is surely a scam,” said FBI Special Agent Tom Simon. A new twist in the well known scam has local FBI agents concerned. 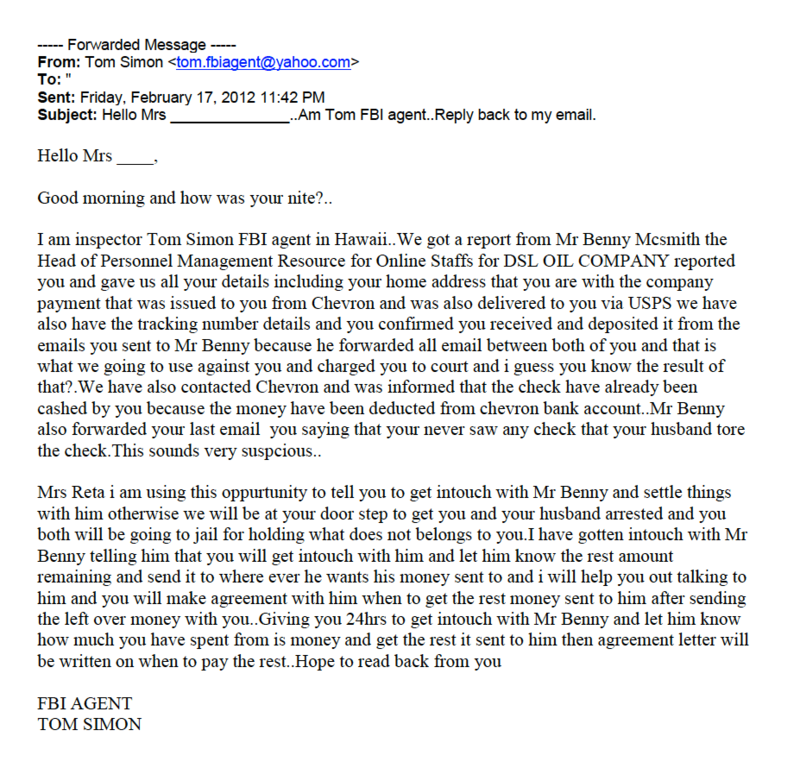 A follow up email claiming to be from FBI Special Agent Tom Simon was sent to the Kauai resident, threatening her if she did not go through with the transaction. The defrauders also included a photo of Simon. The Kauai resident again contacted the FBI, and confirmed the second email also is a fake. “FBI agents do not send citizens emails demanding money. We aren’t a collection agency,” Simon said. One tell tale sign of a fraudulent email solicitation is they are often filled with typographical errors and odd phrases. That was the case in the email that cited Simon as the author. “The email claiming to be from me was clearly written by someone without a great command of the English language. If these scammers ever learn correct grammar, we may have a real problem on our hands,” Simon said. In addition, the email came from a yahoo email address. These scams, which often claim to be coming from a government official, often are initiated in the African nation of Nigeria, the FBI said in a statement, and residents in U.S. and Europe are targets. The FBI said email solicitations that appear to be fraudulent should be deleted and no attachments should be opened. “Unsolicited emails offering you a job are clearly scams. It’s best just to delete the emails and move on with your life,” Simon said. To report significant financial loss from such a scam, contact the FBI’s Internet Crime Control Center at www.ic3.gov/.